We know that finding the time to take driving lessons is tricky as a student (especially when you don’t roll out of bed until midday! ), but driving is just one of those things that can’t - and shouldn’t - be rushed. It doesn’t matter if you’ve been driving around Grandad’s farm since you were old enough to hold your head up, even the most experienced drivers need to take a minimum of 12 one-hour lessons with an ADI before they’re legally able to sit their practical test. It’s the law in Ireland. 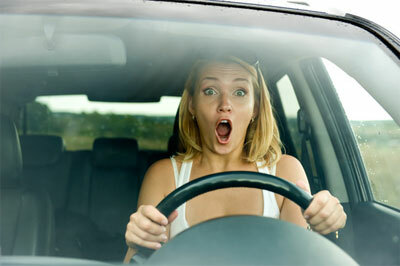 So just how many lessons will you need, and how quickly can you get your licence? Well, every driver will need to take the 12 Essential Driver Training lessons with an approved driving instructor. These lessons last for roughly one hour, but remember that heavy traffic, road closures, or obstacles can make a lesson run a bit longer so try not to schedule a lesson directly before a lecture. We don’t really fancy explaining to your professors why you’re running into class late, if you don’t mind! The 12 EDT lessons are mandatory, and legally you will be able to take your driving test once your logbook has all 12 lesson pages stamped and approved. These 12 lessons are sometimes enough to give learners the skill and knowledge to pass their test, especially if they’re already familiar with cars and have had some practice driving when they were younger. However, we find that many learners need a bit of additional tuition - and we actually recommend pretest training to all driving students. Why? Believe it or not, it’s NOT to get a bit of extra money out of you! It’s because we think there’s a big difference between what you learn during the EDT lessons, and what you learn during pretest training. EDT was introduced to give you driving skills for life, and it includes many aspects - like night driving - that obviously won’t be included on your test. Pretest training, on the other hand, gives you the skills you need to satisfy the examiner on the day. Both types of training go hand-in-hand, really. Think of it like this: You’re learning both German and Spanish at university, but your end-of-year test will only be on the German language. However, you’re planning a trip away to Spain with your friends to celebrate the end of term, so it’s a good idea to learn both languages now and be prepared, right? On average, we find that 6 pretest lessons alongside the 12 EDT lessons ensure you’re well prepared, but we may recommend more - or less - depending on your ability and confidence on the road. So, on the whole, we recommend 18 driving lessons (12 EDT plus 6 pretest training lessons) before taking your practical driving test. Based on 1 hour per week, which shouldn’t impact your studies or social life too badly, that’s just 18 weeks. It doesn’t sound too bad when you put it like that, does it?